Presented By: Norte and National Cherry Festival, Inc. 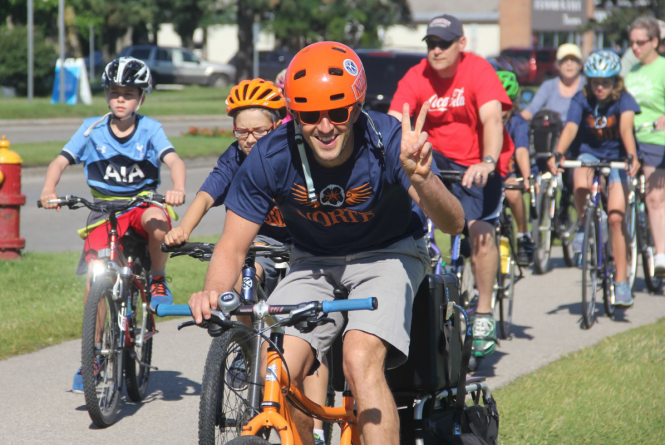 Enjoy a short, slow and very fun and beautiful summer bike ride on the neighborhood streets of TC that will end at the Cherry Festival at the Open Space. Your reward will be a voucher for a free slice of pie, redeemable from Grand Traverse Pie Company. Bikes and people of all ages are welcome to participate. To learn more, click here.